Choice Cut: Kenya discovers her "Favorite Things"
For a few years now, we've been beating the drum for talented soul and jazz singer Kenya, and with good reason. The Chicago-based singer, podcast host and entrepreneur has a keen ear for the sound that adult soul music want to hear, and the talent to deliver it. So we were understandably excited when Kenya told us that we would be returning this year with a holiday single featuring the great Gerald Albright on sax. It is a cool cover of the classic Sound of Music standout, "Favorite Things," but with a completely different vision than the original. 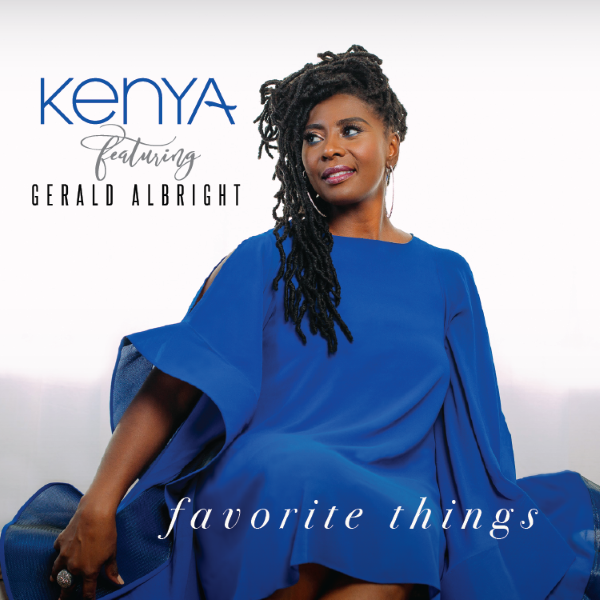 Opening with the Gerald Albright jazzy solo, the song moves into Kenya light vocals, providing an airy sound that marks a territory that is quite different than previous versions of the song. It gets us into just the right kind of holiday spirit, and we think you'll dig it to. Check out "My Favorite Things" below. It's our newest SoulTracks Choice Cut.